Did you know that anyone can have identical twins? Me neither! What I mean by this is you don't have to have twins run in your family, and you don't have to be on a course of fertility treatments to end up with identical twins. This was something that I learned one summer day in 2009. Imagine my surprise, and that of my husband and daughter. You see, we all were together for that first dating ultrasound because the pregnancy prior we had suffered a miscarriage. My husband and I felt it important to give our daughter, who was nearly four at the time, the visual context of the baby growing inside her mommy, so if anything were to happen again, we could use it to help explain a bit better this time around. So, as we sat there waiting for the ultrasound tech to work his magic and find the heartbeat, we all chatted about one of those Anne Geddes posters on the wall nearby. You know those adorable posters with little posed photos of babies in peapods and flowers? There was one with a bunch of babies. We said to her, "Jordan, how about you count the number of babies on that poster over there" to pass the time, and distract her a bit. Then, all of the sudden, the ultrasound tech says to us, "How about you have her count the number of babies on the screen!" I kid you not, it felt like a slow motion movie at that moment as we all moved our heads towards the monitor, our mouths opening in shock. There is nothing that can quite prepare you for the shock of seeing two little blobs on the screen for the first time. We all just stared for a good long while, amazed. Later we would be informed that identical twins are in fact not a genetic occurrence, and that anyone can have that little egg split into two. Genetics does play a role with fraternal twins, when you drop two eggs at once, that is apparently something passed down through generations. Identical twins however, that's just lucky happenstance my friends. 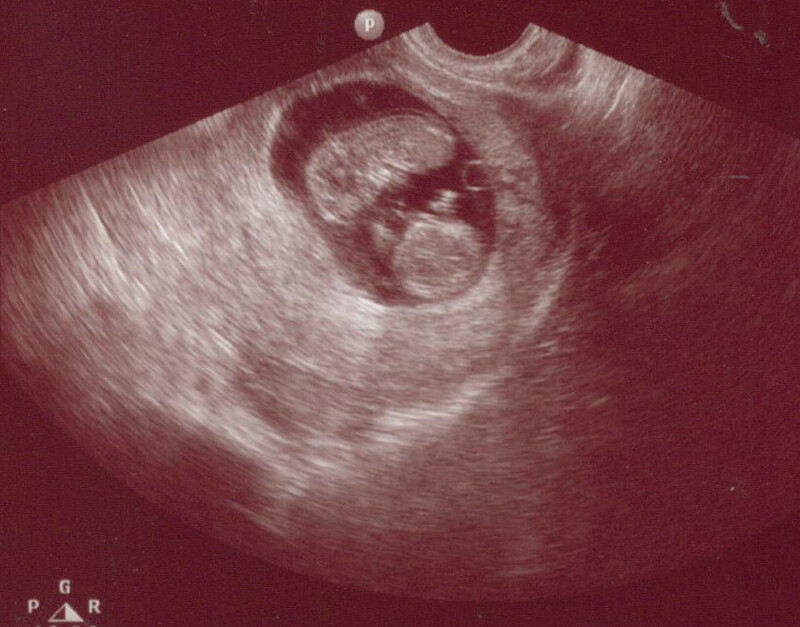 For us, we ended up having our egg split pretty late, so we had a higher risk version of twins called momo-twins. 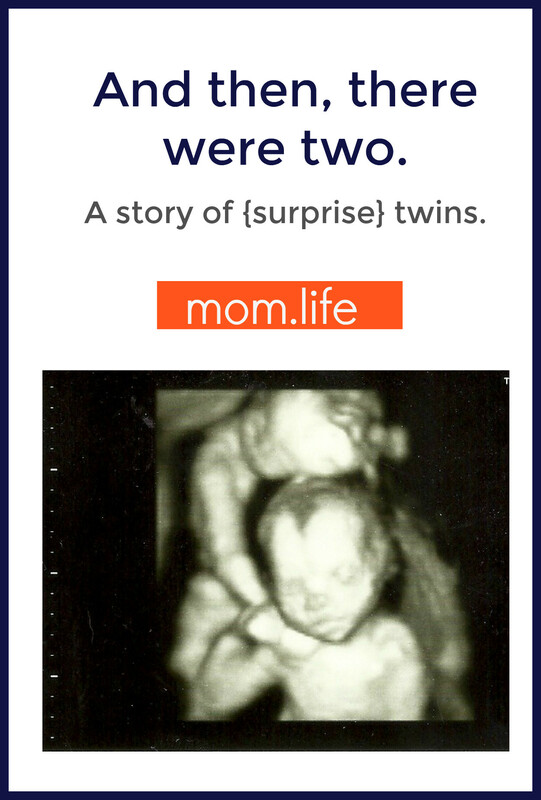 This happens in less than 1% of twin pregnancies. Which is why you can see the skin-to-skin contact in some of the featured images. Our girls provided surprise after surprise from the moment we found out about them, and seven years later, we're still consistently amazed by them. Do you have multiples? Share your story and meet other multiples moms in our app! Download it now.